As many as two-thirds of in-store visits are inspired by something the shopper originally saw online, the National Retail Federation reports. Since so many shopping trips begin online, your business’s online presence is a key factor in driving foot traffic to your brick-and-mortar store. Here are five steps you can take to ensure your online presence boosts your in-store sales. 1. Include essential information on your website. You'd be surprised how many business websites fail to include key information that shoppers look for when deciding, whether or not to visit your store. That includes your address, directions, hours of operation and phone number. Consumers expect your website to be just as good as those of large retailers; in a recent survey, almost 60 percent of Internet users say they’re less likely to buy from a small business if its website creates a poor impression. 2. Optimize your website for mobile use. When people look for businesses online, they're more likely to be using a smartphone than a desktop computer, according to Comscore. Mobile searches drive store visits: Over three-fourths of users who search for products, services or businesses on their smartphones visit a physical location within a day, and 28 percent of those visits lead to a purchase, reports Google. If shoppers can't view your website on a mobile device, they'll click over to your competition. Your website should use responsive design so it automatically displays appropriately for the user's device. 3. Optimize your local search listings. When people search for your store category in your area, ensure your website pops up. First, claim your Google My Business listing (it’s free). Then optimize your listing. 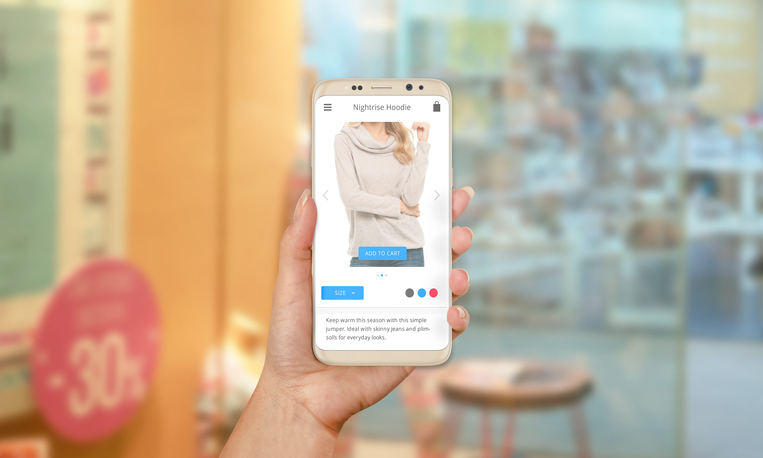 Start with the basics (address, phone number, hours and website URL); then add details such as store photos, product photos or information about sales. Do the same for other local search directories, such as Yelp, and any search directories specific to your city or area. For local search engine optimization to work, your business’s name, address and phone (NAP) information must be consistent across all listings. For example, don’t list your address as “1212 Jones St.” in one listing and “1212 Jones Street” in another. Inconsistency confuses search engines and hurts your rankings in search results. Finally, keep all of your listings updated and current. If your web hosting company offers marketing services, they may be able to handle this time-consuming task for you. 4. Engage shoppers with social media. More than two-thirds of respondents in PwC’s U.S. Total Retail Survey say social media influences their shopping behavior. Create a presence on Facebook, Instagram, Pinterest and Twitter. Posts with photos or videos get more attention, so share attractive images of your products and store. Promote sales and events, but make sure your social account doesn't come off like a commercial. Encourage shoppers to follow you by promoting exclusive discounts and offers for your social media followers only. Once you’ve built a following, enhance your success with ads on social media—they can reach very specific customer groups, such as new moms in your city who are interested in organic baby products. 5. Cultivate your online reviews and ratings. When shoppers search for stores online, online ratings and reviews from sites such as Yelp often pop up, too. These reviews can drive customers to — or away from — your store, so monitor them carefully to maintain a positive image. Respond to negative reviews quickly by taking the conversation off-line until you can resolve the issue with the customer. Get more reviews by linking to your online reviews from your website and encouraging customers to share their thoughts about your business online.